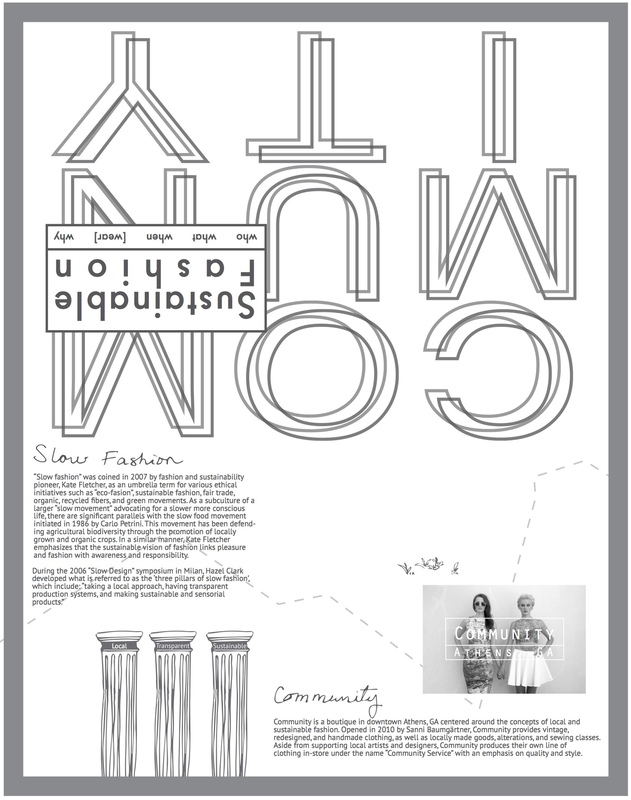 This educational zine was created by Courtney McCracken in 2015 as printed material for "Community", a sustainable fashion boutique in downtown Athens, Georgia. 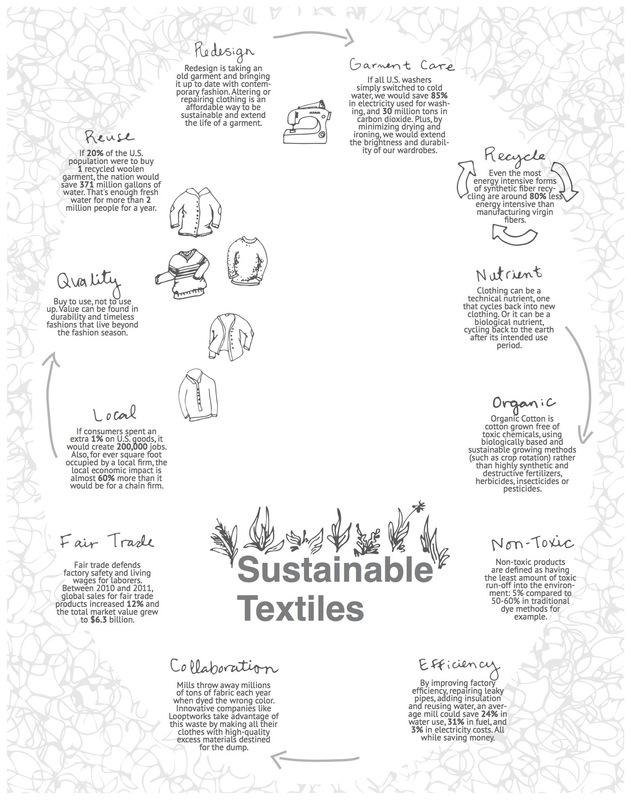 Sustainable fashion is part of a larger "slow movement" that is in favor of environmentally and socially responsible garment production and consumption. 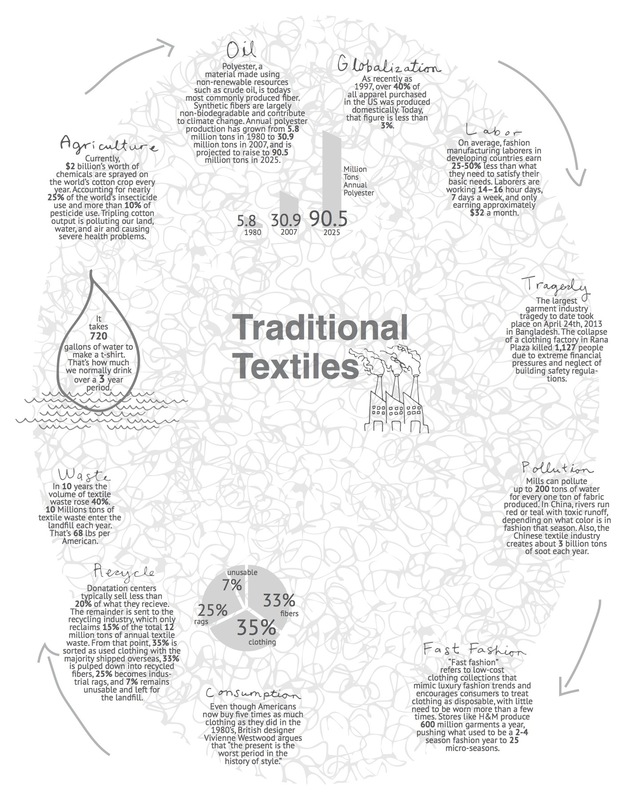 Many of the philosophies and concerns find parallels with the more familiar slow food movement. 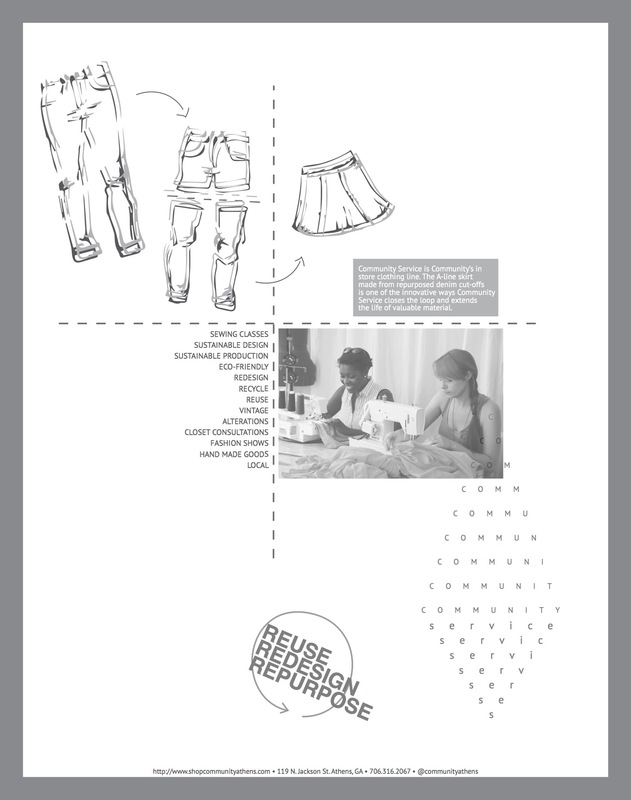 The content of this zine focuses on the traditional life cycle of a garment as well as some sustainable alternatives, from agriculture, all the way to the landfill.